Cities all over our world keep growing and improvising upon the very foundations allowing their existence. Economies boom, cultures blossom, and life quality – fluctuating throughout neighbourhoods – drastically increases when the city becomes “home.” Indubitably, the city life appeals to many individuals seeking an alternative to the slow-paced, laid-back monotonous style of living implemented by rural communities. Cities foster diversity, efficiency, and all the productivity the “country” sometimes all together lacks. However, as much as cities provide prosperity toward a society, these mixing pots of civilization also give way to stress and possible mental disease. In this article we will investigate the health concerns cities all over the world place upon its residents while also outweighing this to the numerous progressive measures taken by local governments. The debate over country and city rages on today just as it did during the formation of this nation. Half the nation leans toward a sedentary life while the other half roots itself in concrete jungles rumoured to foster innumerable health concerns. The country leaves urban dwellers with images of clean air, fresh food, and physical activities. However, society is seeing a flip in this as major cities live longer and remain overall healthier than their rural counterparts. As Melinda Beck from the Wall Street Journal observes, people in the country smoke more, drink more, and eat unhealthily more. Kids growing up in rural areas eat about 80 grams of fat a day, 7 grams more compared to that of urban children, exposing them to heart risks as well as diabetes. Alternatively, these children also tend to have less asthma – as air pollution runs rampant in cities – and develop much fewer allergies. The health systems in cities may take the upper hand thanks to income and education levels: emergency medical response time in the country averages at 18 minutes compared to the 10 minutes in cities. Also, only 10% of the country’s physicians work with rural communities while 25% of the U.S. population resides within these communities. Income and education also do play a role on each other as education maintains a stronger hold over urban areas. The median household income in cities is $53,000; in rural areas it is $39,000; in suburbs it is $60,000. Fairly matched, suburbs draw the best of both worlds in certainly every way possible, however, not as much research is done upon them as the polar opposite ways of life draw more attention and need of development. In many measures, urban citizens experience a higher rate of mental health problems than rural residents – 39% more mood disorders and 21% more anxiety disorders. This is why such affluent and advanced health institutions have been spun all throughout cities. Not only this, but as observed before, response times are much quicker and service is much more efficient in urban centres. In essence, cities provide more developed versions of public services compared to those seen in rural areas. Studies, condensed by Bryan Walsh from TIME, exemplify how modern cities are some of the safest places to live. The risk of death, both violent crime and accidents, is more than 20% higher in the country than it is in urban areas. Though gun violence is much more exposed in cities throughout the young adult population, children and grown adults experience the deadly effects of firearms much more in the countryside. This is possibly due to the unfortunate truth where residents in rural areas own more firearms and irresponsibly leave them in reach of children. Arguably, the countryside pretty much voids itself from the stress and anxiety stemming from city life. Though many of the educated and affluent stay in the city, some venture off to the country or suburbs to be more in touch with nature. One of these individuals is Mitchell Langbert, a man with a family who used to live in New York City but left to the countryside of New York state about ten years ago. Although he and his family are perfectly well-off where they are now, they have observed over the years how big government progressivism “has hammered people with roots in the region.” He restates articles by scholarly journals that life expectancy is slightly longer in the city than the country while suburbs are overall still better for your health; he comes to find that the progressivism in these rural areas is what’s affecting all aspects of life. The stress of the city is trickling down to those of the country. Many do question and wonder how the notorious stress of city life develops, thus researchers such as Allison Abbott of Nature come about to dispel the cloudiness surrounding what is now known as “urban decay.” This urban decay is the outcome of placing individuals into situations where stress, anxiety, and isolation become the normal day-to-day of working and living within a major city. 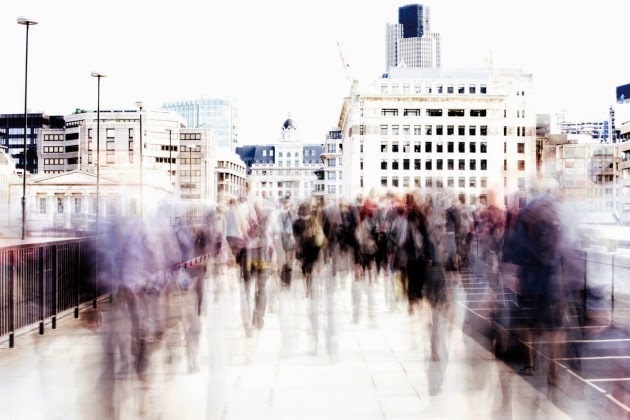 Now that over half of the world’s population lives in cities, scientists are finding that citizens that fall to this trend suffer from schizophrenia, depression, bipolar disorder, or any other psychiatric condition. These mental conditions spring out of the very foundations that make a city what it is – the city environment. A city’s environment can give off a sense of familiarity and well-being or that of an unhealthy, noisy, busy, and simply unsettling atmosphere that fosters the growth of stress and anxiety. Of course, city officials are working on finding means to decrease the negative aspects of a city’s environment, but, as of now, those who fall to the spew of mental diseases due to these factors are placed under psychiatric ailments to aid in the recovery process. As discussed in length, urban centres are fortunate to have such advanced forms of healthcare institutions as it has been evidenced by the American Psychological Association that these mental disorders are left untreated in the nation’s rural areas, causing suicide rates to surge well over that of their urban counterparts. Nature’s article does focus on the effects of social isolation within cities, where you could feel surrounded by millions of people yet feel so alone, but not much was looked into as far as social isolation goes in the country, where you could physically and emotionally be separated altogether from society. One thing is for certain: the unhealthy stress harnessed by city residents is the healthy stress needed by rural communities. The connection to nature the countryside boasts is indeed a necessity for all humans. Ben Welle of The City Fix states how city trees help keep cities’ air and water clean, impact residents’ physical and emotional health, and reasserts the value of trees for our global environment. Certainly, concrete jungles of building upon building interlaced with smog, pollutants, and worn down establishments do not sit well with communities battling to keep stress in the city at bay. Even with current efforts to optimise citizen’s health, smarter city technology of the future gives hopes of improving quality of life amidst rising stress levels. Utilising systems to improve an individual’s self-actualization, esteem, love and belonging, safety, and physiological needs, The Urban Technologist believes improving a city’s quality of life involves making everyone feel involved and accepted by the community. Stress will be present, no doubt, but by implementing means of adapting to the busy lifestyle of cities through encouraging individual consciousness, not only will an individual be relieved of the health burdens placed on them, but so will an entire metropolis thriving off the contributions made by every one of its citizens. Clay, Rebecca A. "Reducing Rural Suicide." American Psychological Association. American Psychological Association, Apr. 2014. Web. 15 Feb. 2015. <http://www.apa.org/monitor/2014/04/rural-suicide.aspx>. Langbert, Mitchell. "Country Versus City: the Wall Street Journal Is Confused." Mitchell Langbert's Blog. Blogger, 14 July 2011. Web. 15 Feb. 2015. <http://mitchell-langbert.blogspot.com/2011/07/country-versus-city-wall-street-journal.html>. Robinson, Rick. "Can Smarter City Technology Measure and Improve Our Quality of Life?" The Urban Technologist. The Urban Technologist, 24 Sept. 2013. Web. 15 Feb. 2015. <http://theurbantechnologist.com/2013/09/24/can-smarter-cities-improve-our-quality-of-life/>. Walsh, Bryan. "In Town Vs. Country, It Turns Out That Cities Are the Safest Places to Live." Ecocentric. TIME, 23 July 2013. Web. 15 Feb. 2015. <http://science.time.com/2013/07/23/in-town-versus-country-it-turns-out-that-cities-are-the-safest-places-to-live/>. Welle, Ben. 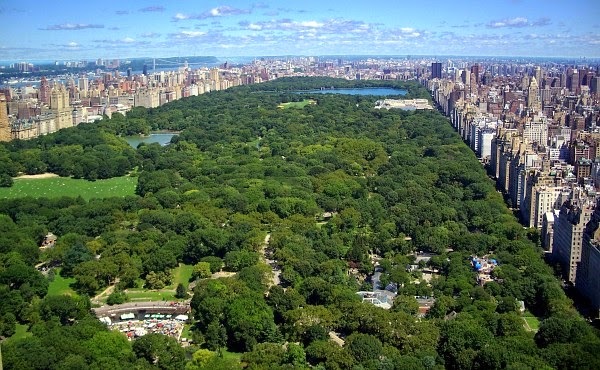 "Urban Trees Boost Quality of Life for City Dwellers Around the World." The City Fix. EMBARQ, 7 May 2014. Web. 15 Feb. 2015. <http://thecityfix.com/blog/urban-trees-boost-quality-life-city-dwellers-around-world-livability-tree-canopy-ben-welle/>.